Just finished working an event for Young Friends of the Historical Society of Palm Beach County – An Evening on Antique Row. 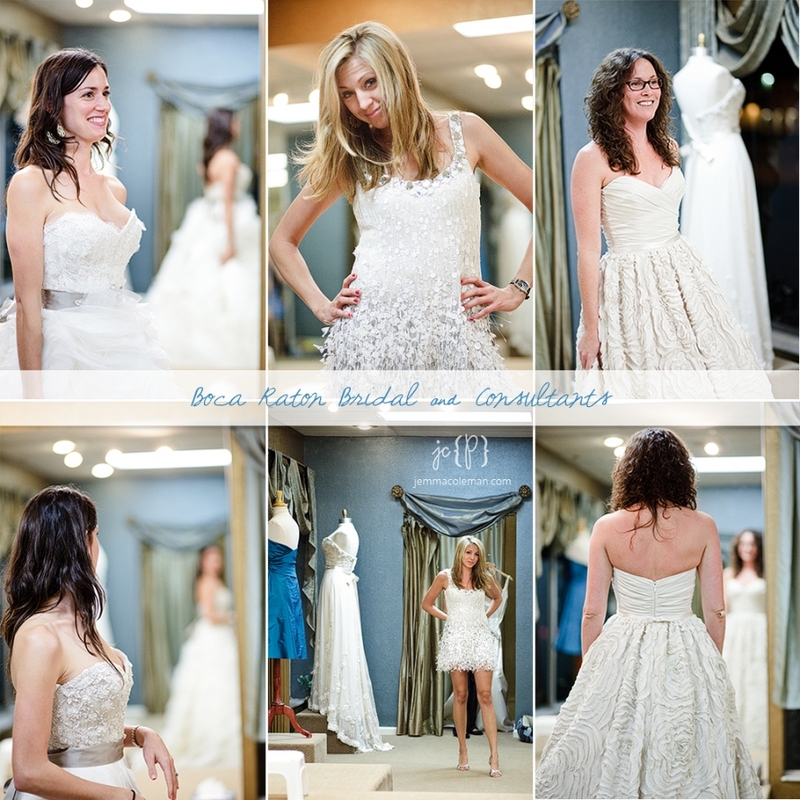 We got to work with so many fabulous vendors and as I’m editing through the images, I’ll post my favorites on the blog. Please enjoy! 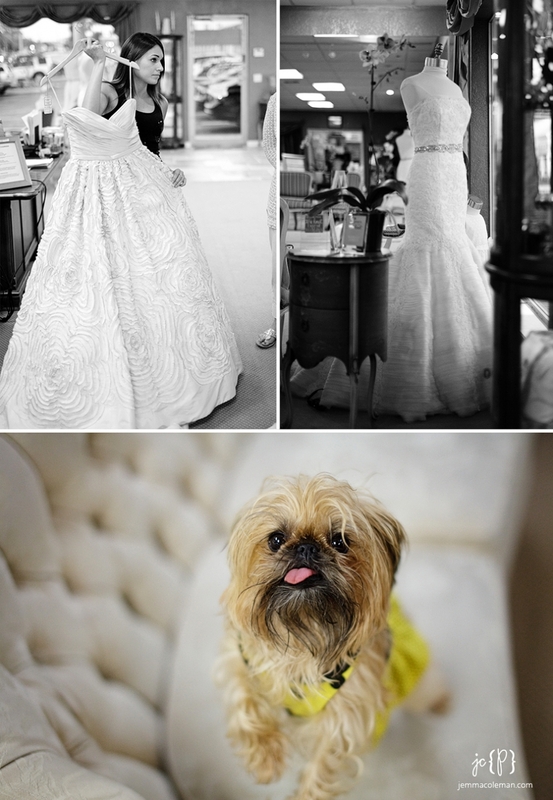 Sweet little Emma, the shop mascot will even be there to help you through your gown selection! She wore a little sundress the day we were there, but has her own line of frilly white dresses that she models other days. Here are the girls trying on different gowns. 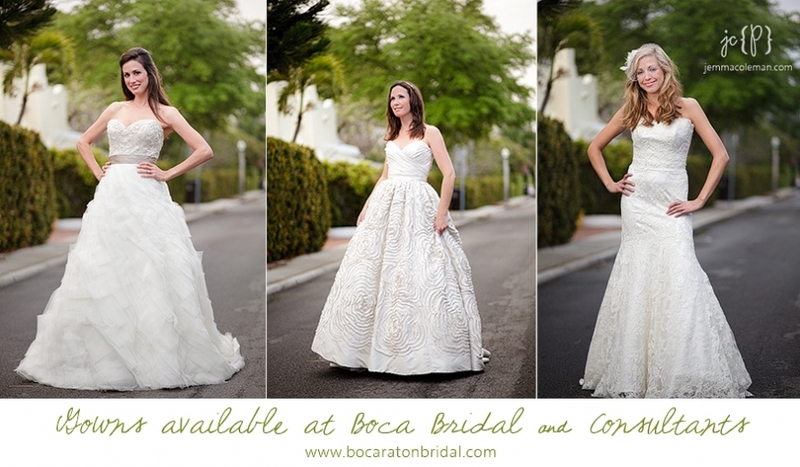 Gotta love that short Jenny Packham dress in the middle! After the girls had finished getting glammed up at Salon Margrit, they dressed and we were able to shoot a few images before the sun went down. The ladies were naturals & had the best time in those gowns, can you tell?